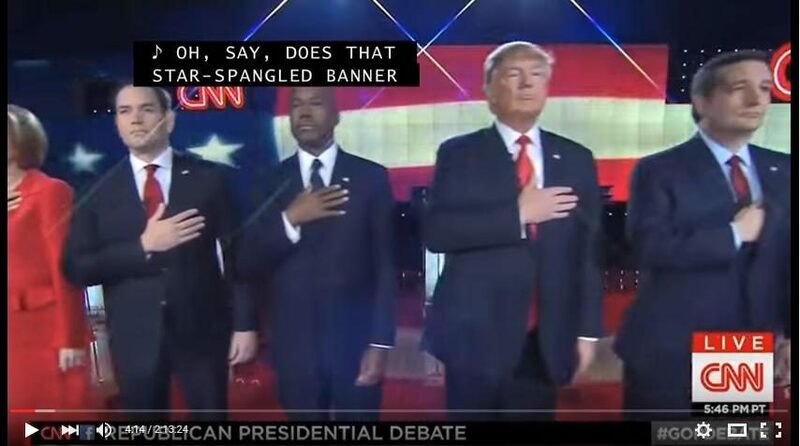 FACT CHECK: Donald Trump Doesn't Salute the Flag? Donald Trump Doesn’t Salute the Flag? 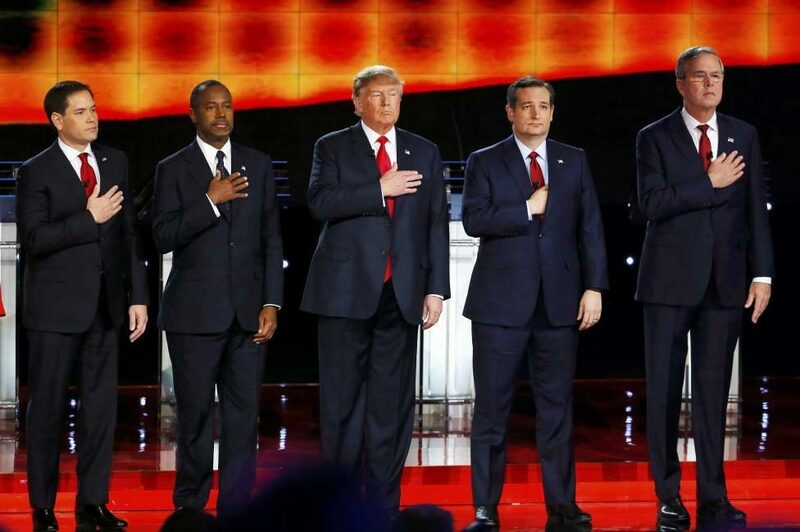 An image of Donald Trump not placing his hand over his heart during the playing of the U.S. national anthem doesn't reflect reality. 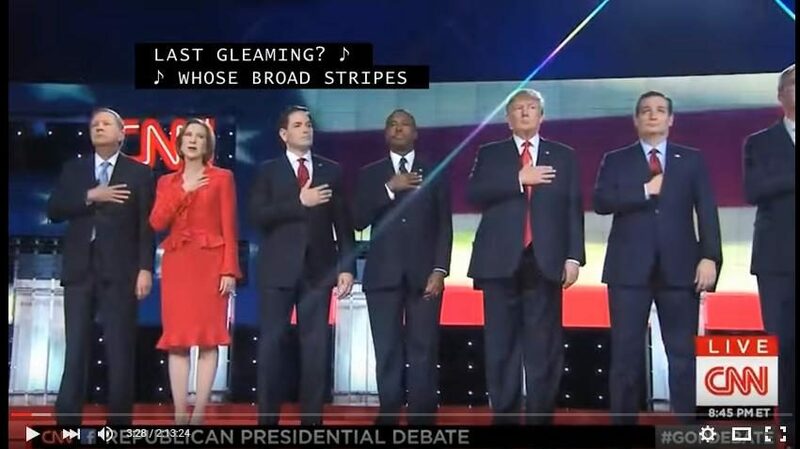 Donald Trump failed to place his hand over his heart during the playing of the U.S. national anthem at the beginning of a GOP debate. During the 2008 presidential campaign, a cottage industry was started from a single instance in which Democratic candidate Barack Obama, then a senator from Illinois, was captured on video standing with his hands clenched below his waist during the playing of the U.S. national anthem at an Iowa steak fry attended by six top Democratic presidential candidates — an industry that subsequently spawned a plethora of false rumors after Senator Obama won the presidential elections, such as a claim that he wanted to change the national anthem to something more innocuous and a faked photograph showing him and his wife Michelle using their left hands to show respect for the U.S. flag. 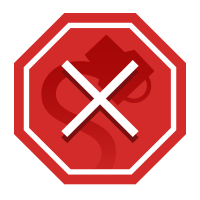 The background elements of this image indicate that it originated with the 15 December 2015 CNN Republican presidential debate held in Las Vegas: it was included in articles about that debate, where it was credited to David Becker of the Reuters news agency. However, we found no evidence that the moment captured in this image actually occurred during that debate. 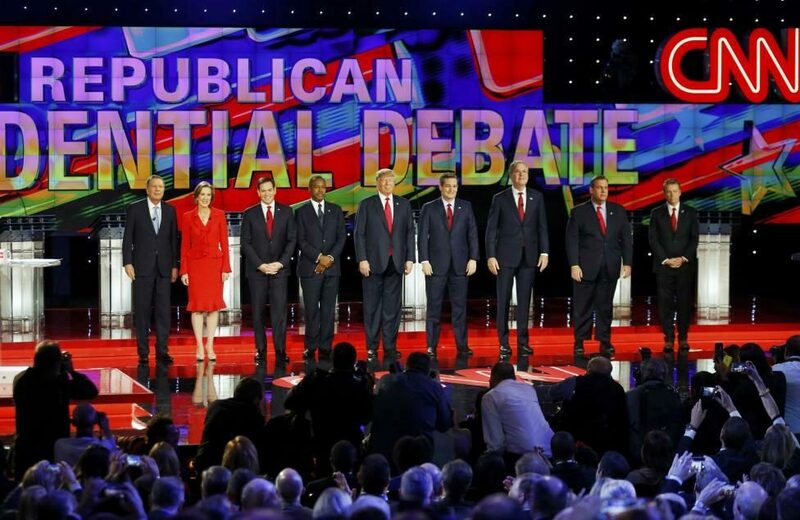 There is no doubt that the image in question stemmed from this debate: the arrangement of candidates on stage is the same as shown in the video, the candidates’ clothing is the same as shown in the video, and even Senator Ted Cruz’s Napoleon-like pose (with his right hand tucked inside his suit jacket) is the same as shown in the video. If the image were real, then it would have to have originated with a photographer’s managing to snap a picture during a fleeting instant (not captured by the multiple television cameras present) in which Donald Trump briefly held the pose shown. 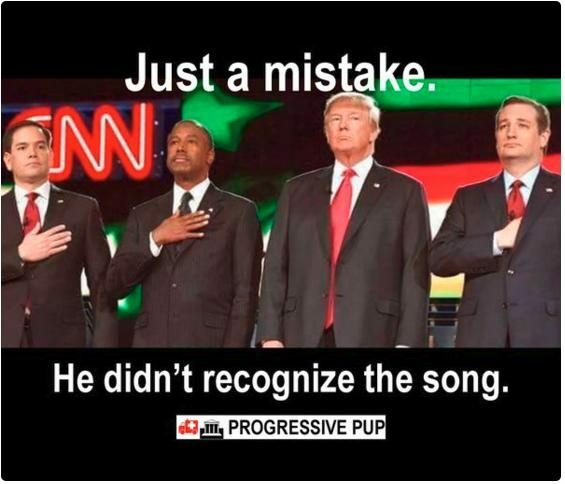 Either way, the video documentation of the event clearly shows that Trump did not stand with his hands at his side throughout the playing of the national anthem; he held his right hand over his heart for the duration, as appropriate.